Microsoft is continuing its strategy to attract more users of its products on various platforms, even though the company may not earn money from them. 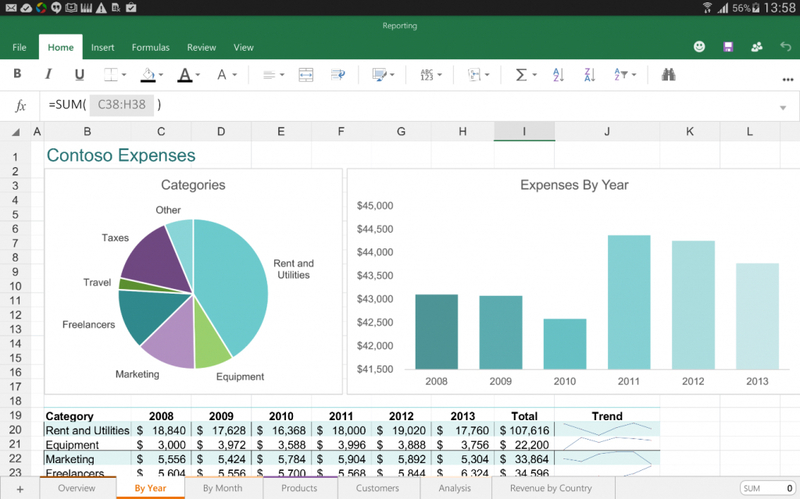 The company announced several tidbits pertaining to its Microsoft Office platform for iOS and Android, while also giving us an idea of when we’ll see that much-discussed touch-friendly version of Office for Windows. There’s been a very capable version of Office optimized for the Apple iPad since March of this year, and that software is now a universal app, meaning it works on [company]Apple[/company] iPhones as well. While adding phone support is a big deal, the bigger deal is that Microsoft has dropped its Office 365 subscription requirement for certain features. 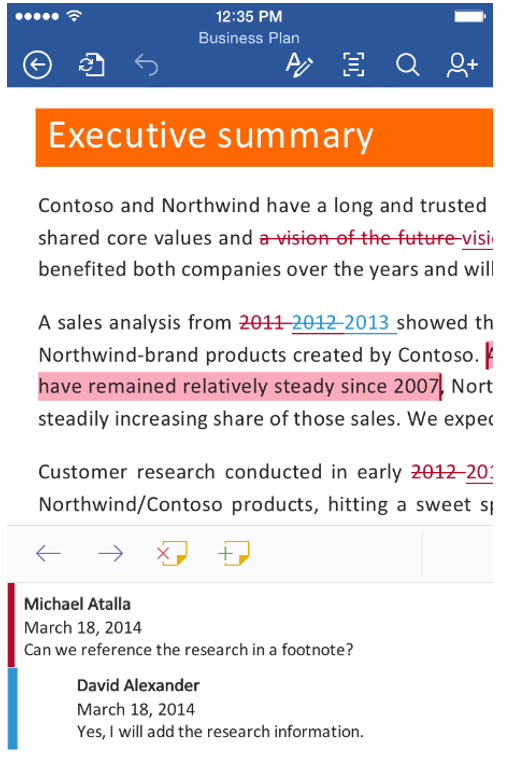 You can now create, view or edit in Word, Excel or PowerPoint without paying a dime. The apps also work with Dropbox for storage thanks to a new collaboration deal announced earlier this week. New Thursday is a preview version of [company]Microsoft[/company] Office for [company]Google[/company] Android tablets. You can sign up for the preview here but you’ll need a tablet with a screen size between 7 and 10.1 inches, so large phones need not apply. Microsoft also says that its preview version won’t work with Android 5.0 (yet) so be prepared to stay with the Android version you currently use if you’re going to participate. That shouldn’t be a problem for most people, at least not for some months since device makers are just now announcing their loose plans for Android 5.0 updates. Lastly, we have a clue as to when Windows tablets and touchscreen laptops will get a tappable Office app suite of their own. 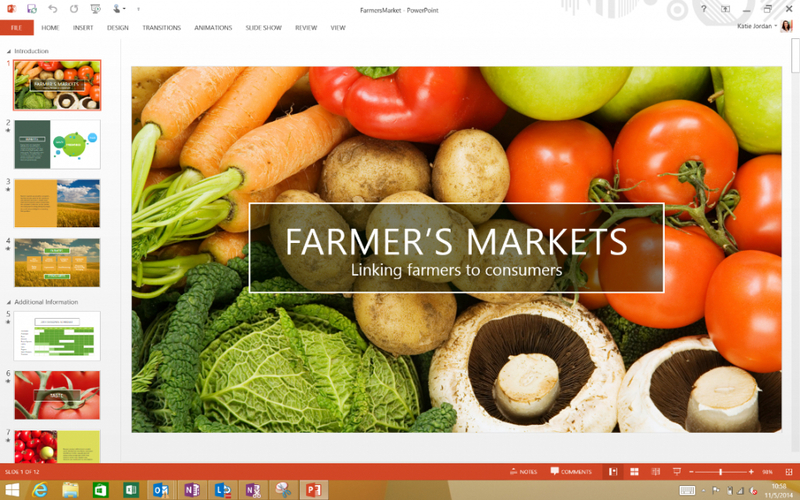 Microsoft says that version will arrive for Windows 10 and offered up this preview of what it will look like. If you’ve doubted that there’s a “new” Microsoft in town, the Office news should go a long toward convincing you otherwise. Throughout much of this year, the company has pivoted toward a cross-platform and free strategy in order to attract more users to its brand of products. You could take the view that Microsoft is admitting a certain level of defeat in the mobile market, but I think it’s more of a way to bring the old-school Microsoft approach into a new age. Either way, it’s good for consumers regardless of the platform them use: If they want or need to use Office products, they can do so regardless of the devices they own.